Seton Hall University’s response to the incident during the weekend of 9/25/2010. We are all shocked, outraged and saddened by the events of this past weekend. A criminal act took a young life, and left a deep scar on the University community. In the aftermath of these tragic events, my staff and I are working hard to meet the needs of all of our students. I wanted to give you an update on some of the latest developments. Expanded CASE van service from 5pm until 2am, Monday through Friday. Walk in groups when off-campus or utilize campus or public transportation. Always be aware of your surroundings and carry a cell phone. Immediately report any concerns to SOPD (973.763.3000) or Public Safety 973.761.9300). I also want to remind all students of the availability of Counseling Services, located on the 2nd floor of Mooney Hall. Counseling Services, Residence Life staff, and all other Student Affairs staff may be reached 24/7 through Public Safety at 973.761.9300. Please do not hesitate to reach out to any of us for assistance. Funeral Services for Jessica Moore will be held Saturday, October 2nd in Virginia. Busses will leave campus between midnight and 1am, Saturday, arriving at Virginia State University for breakfast, and then onto the J. M. Wilkerson Funeral Establishment, Petersburg, VA, for the Funeral Service at 11 a.m.
Busses will depart for SHU immediately following the service. Students may secure a seat on the bus by coming to the Ticket Office on the first floor of the University Center, with their SHU ID, no later than Noon, Thursday, September 30th. The family requests that students wear SHU colors. This Wednesday, September 29th at noon, the university will be conducting a test of the emergency alert siren. The test of the siren will be followed by a test of the Pirate Alert electronic emergency notification system. Please note this will only be a test. 1. Get inside – anywhere. Run into the closest building. 2. Lock or barricade yourself in a room. 3. Quietly monitor the University’s web site or Pirate Alert for further information. For more information on emergency preparedness, please check out the siren’s website. Don’t forget to vote for your hall council representatives on Monday September 20th. For more information, contact your Residence Hall Director. 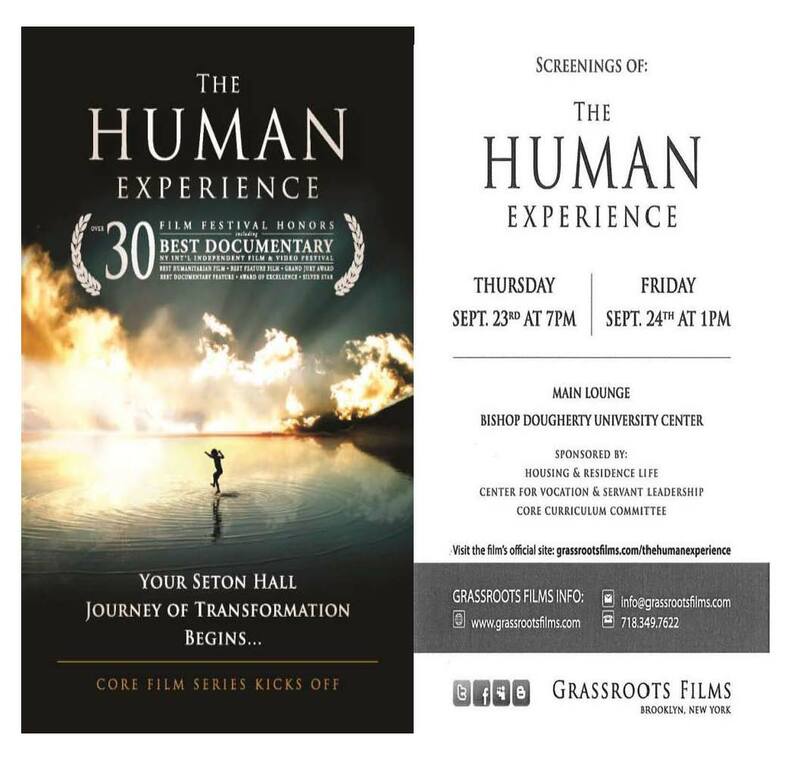 As the kick off film in the Core Film Series for the Journey of Transformation Course, Housing and Residence Life along with the Center for Vocation and Servant Leadership and the Core Curriculum Committee are sponsoring the screening of THE HUMAN EXPERIENCE documentary on Thursday September 23rd at 7pm. Also showing on September 24 at 1 p.m. Doors open 30 minutes prior to start. 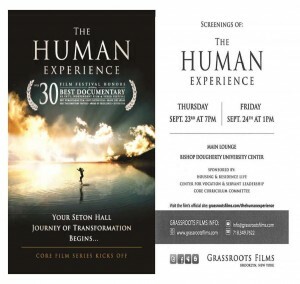 Screenings are in the Main Lounge of the University Center.